I have just come back from two blessed and glorious days in Newport, Rhode Island. We stayed at a very nice hotel, ate at lovely little restaurants, walked through countless clever and adorable shops. And none of that was what reached into my soul or touched my heart. Newport is famous for its opulent and outrageous mansions, of course. 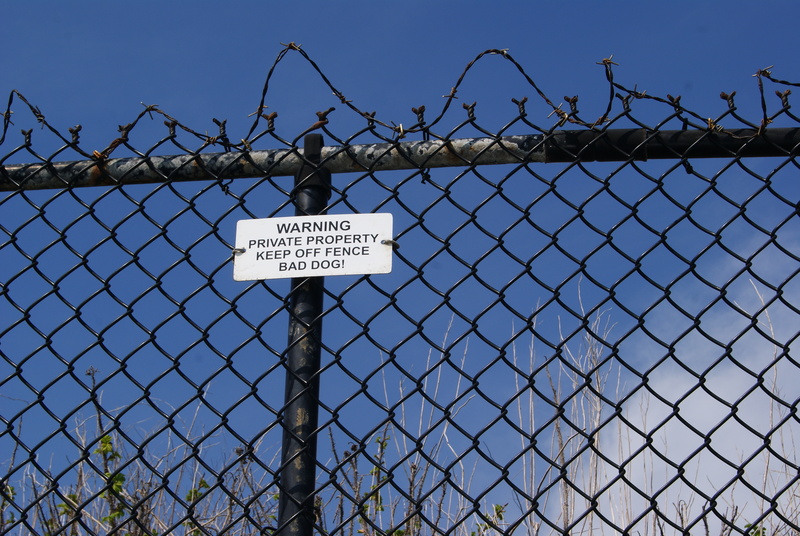 We ventured along the “cliff walk”, where chain link fences separated us from the .01%. We gazed like indentured servants at cold stone estates that to me resembled sand castles without the charm. I felt no desire to either come any closer or to join that set of elite residents. What must it be like, we wondered, to live in a place where nature is so filled with glory, yet to struggle each and every day to keep that glory to yourself, and to keep out your fellow man? One particular stretch of fencing along the “cliff walk” was marked every six feet with the following sign, which made me feel simultaneously ashamed and filled with mirth. I mean, seriously? Were they warning us that they owned a “bad dog” or referring to those of us among the riffraff as “bad dogs”? Who knows!! What did fill me with joy and peace, though, was the time that we spent simply sitting and gazing out to sea. Newport has absolutely glorious, wild beaches, where a person of limited means can relax on a bench or a craggy rock or a stretch of broken shale and watch the waves roll in. When I can see the endless view of water that is the Atlantic Ocean, I am immediately at peace. When I can sit in perfect silence and listen to the whisper and call of the waves as they roll in one after another, I am filled with calm. And when I can stand chest deep in the ocean, and lift my earth bound feet to float above the anchoring soil, I am a part of something as elemental as the universe. And I don’t know why this is true for me, when I know that the same is not true for everyone that I love. For me, to stand surrounded by the feel and smell and sound and taste of the ocean is to be back in touch with whatever it is that gives animation to my being. For me, if there is a god, he lives deep in the sea. I wonder if some people, people like me, feel a tide in our blood. I wonder if my heart and my brain are made of a salty, briny water that makes me one with the gulls and the seastars and the mermaid tales from days gone by. All I know is this: I don’t yearn for a mansion, or a fence or a castle to keep me safe. What I yearn for is a place where I could lay my head down every night and still hear and smell and feel the constant murmuring movement of the sea. I too could sit and watch the waves, smell the salty air and listen to the crash of the waves for hours. It is so peaceful, calming yet wild and powerful at the same time. Ahhh, thanks for taking me there with your descriptive words and beautiful photo, it was just as I pictured it would be. I thought of you when I was writing, knowing that you go on beach vacations, too. For me, the emptier and wilder the beach, the more I like it. Last summer camping on Assateague Island with Kate was my idea of Heaven, for sure! Me too. With you as my neighbor. Now all we need to do is earn our billions….I’ll get right on that! How lovely. A beautifully written post. I too am a sea person. I often take myself of to one of the cold Scottish beaches near Inverness. It’s way too cold to swim but the smell, the colours and the sound of the ocean free me from stress – even fleetingly. Your beaches are on my “bucket list”! I have dreamed of going to Scotland since I was very young. I want to see, hear and smell your cold waves! Amen. 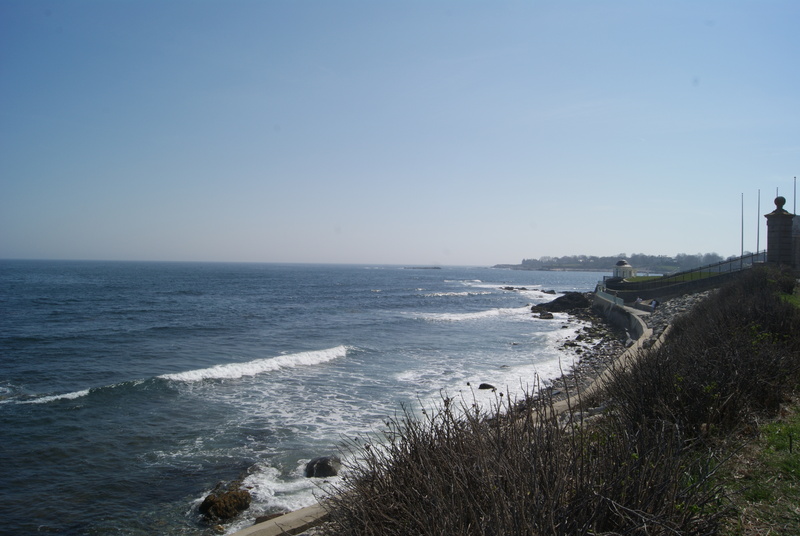 I love Newport, from the cliff walks to the summer mansion flower shows (which my girl likes), to the dockside restaurants and bars. And, oh, those beaches….Have you been to Castle Hill Inn? You can have a drink outside, sitting in an Adirondack Chair, looking out to sea. Magic!